Like Milk, it's the kind of film where you leave the theatre wanting to march in the streets. 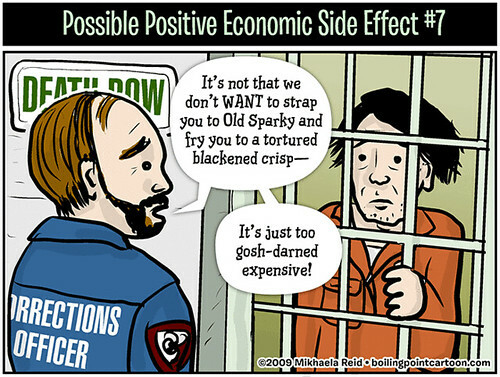 I read the other day that some governors are thinking of discontinuing the death penalty. Some are against it for moral reasons, but some weren't concerned that it's barbaric, or cruel and unusual, or just plain wrong--they just want to save money. Does that mean they'll plug the chair back in when the economy improves? I also hear that California may finally do something smart about its criminally overcrowded prison system, and find ways to let nonviolent offenders go. Those three strikes laws don't seem like such a good idea now, huh?